Two New York City women have filed lawsuits against the Department of Correction, claiming they were illegally strip searched and violated in a bathroom during visits to Rikers in the past year. Sarah Wallace Reports. Two New York City women have filed lawsuits against the Department of Correction, claiming they were illegally strip searched and violated in a bathroom during visits to Rikers in the past year. In late 2015 and early 2016, more than a dozen women told the I-Team they were victimized in visitor areas of various city jails. DOC’s written policy specifically prohibits body cavity and strip searches. Limited pat frisks are allowed, but only over clothing, with written consent, and a correction supervisor must be present. The I-Team has obtained documents through a Freedom of Information request that revealed the city’s Department of Investigation launched a widespread probe into search procedures after the I-Team aired reports in 2016. In December of that year, DOI warned jail officials they needed to make sweeping changes to prevent improper searches. The letter, dated Dec. 22, 2016, said the DOC must issue a new directive. More than 25 women have now filed notices of claim against New York City alleging they were sexually abused by correction officers during visits to jails. Sarah Wallace reports. A DOC spokesperson said the department is currently updating its directive and is working towards incorporating key DOI recommendations, including having more detailed language on pat frisk procedures for visitors. Jail officials said they are also finalizing a curriculum for officer training on pat frisk searches. The agency said it has increased video surveillance by installing cameras in visitor search areas. 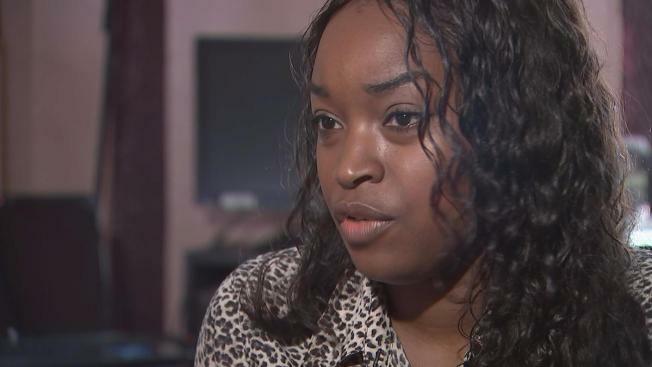 Esther Pierre, a 29-year-old nursing student, told the I-Team she was pulled off the visiting line after getting off the bus on Rikers with no explanation, then taken into a bathroom with several correction officers, including a captain. She said she was forced to lift up her bra, exposing her breasts, and unbutton her pants and pull them down. One woman claims she was viciously violated during a body cavity search at Rikers on August 27th, 2016. Sarah Wallace reports. Attorney Alan Figman said he now represents a half dozen women who claim they were sexually abused in the bathroom at the Samuel Perry Center, the first stop after visitors arrive at Rikers. “The abuse continues,” he said. “They’ve just moved it to bathrooms where there are no cameras,” he said. Figman represents more than three dozen other women who say they were illegally searched in visiting areas. "None of the women was ever found with contraband, so the premise they 'may have' drugs or weapons is just a ruse to victimize them with unlawful searches." In a statement, DOC told the I-Team that pat frisk searches had been conducted in the bathroom at the Perry Center “due to space limitations,” but the department has now stopped that practice.